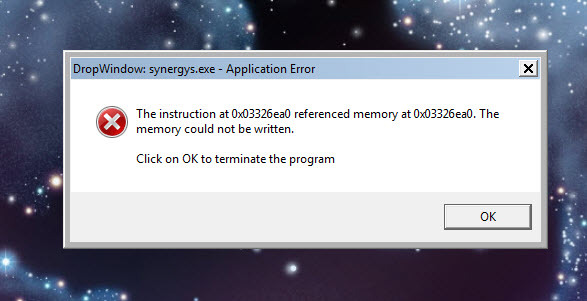 Each time I shutdown Windows 7 a Referenced Memory Error window appears (see attachment)...Has anyone else received this error message and if so, how do I stop it from appearing each time at shutdown...It is becoming quite annoying. I've been getting the same error. I have to wait each time I shutdown, or when I return the the next day, my computer will still be hung on shutdown. I've installed the latest version for Win 64, but I still get the error.